OH no, he’s flown away. Oh hell, the religious lot is at it again. We’re doomed. We’re saved. Mumble, chatter, scream, hell. It’s been another one of those weeks, so let’s get down to it. Musharraf. It was a bad decision — going after him for the Emergency and going after him so early into the third term. 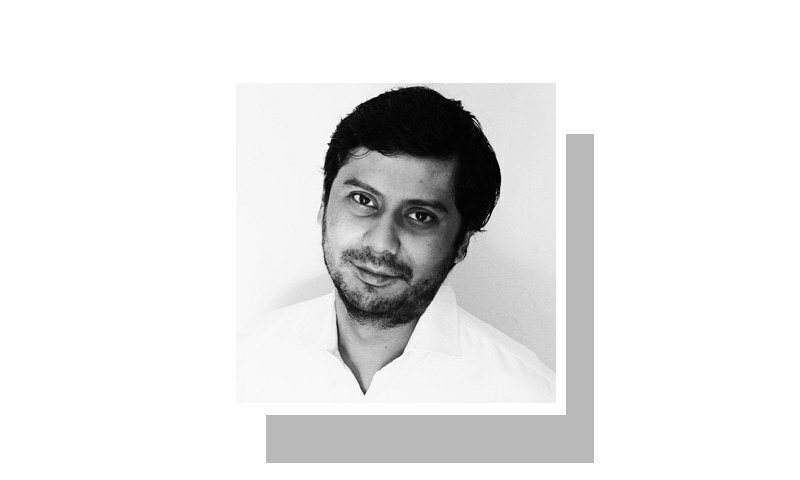 That bad decision has been set right in a predictably wrong way — but Nawaz is better off for it, whether he likes it or not. The rest of us? The jury’s out on that. Because Musharraf is our past from another country. Go back to 2014. Three big decisions, three episodes that made for a break from the past. It started with this Musharraf business. Nawaz signalled he wasn’t willing to let go. Musharraf would be tried — and if he wasn’t going to be hanged or jailed, he sure was going to be made a spectacle of and harassed mercilessly. It offered an intriguing possibility. Trying Musharraf for the Emergency and trying him so early into a third term were the wrong choices to make. But decision made, the rest of us — ordinary Pakistanis interested in and affected by civ-mil — could piggyback on Nawaz’s obduracy. He’d get his man and we’d get our democracy and rule of law. Then, the second thing happened: Zarb-i-Azb. That was the beginning of the change. Until then, two successive chiefs had quit office under pressure and were widely derided. Get one of them, put him on trial for whatever, and a shockwave would be sent through the system, felt by chiefs for a generation to come. But Zarb-i-Azb put a stop to that. Musharraf was effectively a free man. There was no way in hell a former chief would be put on trial for treason in the middle of the most intense war the army has ever fought. The break from the past had begun — and with it the value of getting Musharraf diminished. What had been a faint uncertainty for several months had become emphatic reality. Musharraf would walk free, sooner or later. If you’re Nawaz, you care deeply about a trial and a conviction. For the rest of us, Musharraf’s jailing was only instrumentalist: getting him was about sending a signal. But the opposite signal was about to be sent — to the rest of us. Nawaz had let history pass him by that January, giving a speech in parliament that will go down in infamy. Nawaz wanted peace, the Taliban wanted war. Raheel saw that and put it right — giving us Zarb-i-Azb. From there, a meteoric ascent was all but guaranteed. Do it right — and Raheel looked like he knew what he was doing — violence would drop and a grateful nation would hail its latest saviour. And so it came to pass. The break from the past had begun — and with it the value of getting Musharraf diminished. Present and future chiefs were already being insulated from the shockwave that a Musharraf conviction would have sent. 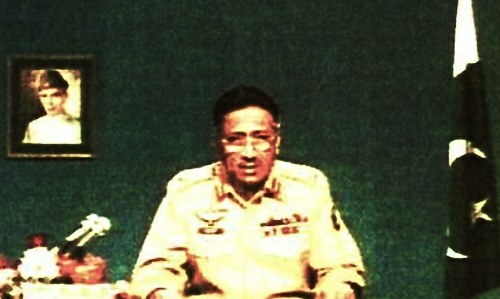 Musharraf’s Pakistan, the old parameters of civ-mil, was vanishing. In its place, a new Pakistan with new civ-mil parameters was emerging. The third episode confirmed it: Peshawar. APS added rocket fuel to what had until then looked like an evolutionary break from the past. In double-quick time, the National Action Plan was birthed and a new reality had coalesced. Musharraf’s Pakistan was gone. No more was there need for a takeover. Instead, we had a super-chief and his template for making his institution’s influence all-pervasive. Get Musharraf, don’t get Musharraf, it would make no difference — the instrumentalist value in getting him, the shockwave it would send through the system, the signal chiefs for a generation to come would receive, it was all gone. Because takeover was neither needed nor threatened anymore. Raheel had shown the way, embodying the new template. The new template is three-pronged: fuse personal popularity with a hard-nosed identification of core interests and quietly expand indirect control. It is a template that the next few chiefs, and perhaps chief for a generation to come, can embrace. The personal popularity aspect can come through the long war that is being waged. Militancy will not disappear anytime soon and as long as there’s an enemy, there’s a hero waiting to be minted. The core interests have now more or less been identified. Focus on national security, protect the institution, and let the pols manage the economy and soft stuff. That means the boys make all the decisions about the boys and their needs. Finally, co-habitation must be owned and worked on. The N-League likes to brag about the rapport between the PM and the chief. The time and effort invested and strategy crafted is talked up privately. But it works both ways. The time and effort invested by Raheel and the strategy crafted in dealing with the government is there for future chiefs to see. It is neither carrot nor stick, but a steady focus on outcomes and, most of all, consistency. Mean what you say and say only the things you mean. Be patient, don’t frighten them — they want to like you and, secretly, want you to like them. The three-pronged template — personal popularity, core interests and co-habitation — is already fairly mature. From here on, future chiefs may only need to tweak it a little. The problem is at the other end — the civilians. They haven’t quite caught on to the past becoming another country. They don’t seem to understand that Musharraf’s Pakistan is gone. And they sure don’t know what to do about what it’s been replaced with. Greatly like the way Cyril puts his message across. It really is reassuring that civ-mil equilibrium has reached and the inclination to change it doesn't seem to be on the horizon. A consensual institutional arrangement whatever its complexion and composition is better than the anarchy of sticking to impracticable notions. "... don’t know what to do about ... ": too busy amassing riches for themselves and their cronies. as always spot on ! As long as one institution is supersedes all others......its influence will stay all pervasive and its narrative will go unchallenged.......that cant be good in the long run! Wow Cyril. You explained everything so perfectly well. Key words are "steady focus on outcomes n consistency". Lack of these two aspects in public policies relating to macro economics including broadening tax base n expanding network of social services in health and education and striking militancy through policy instrument of NAP has eroded the popularity and effectiveness. Trial of former President could be a personal ambition of someone but not the popular will of the public. Even if we accept for the sake of argument that there was a tremendous support of the people behind, then the prosecution was seemingly reluctant to take the matter to its logical conclusion. Well said, I think you covered all the points.....especially the last one where you ended on the people who are confused as they really got nothing and are getting very little even now. Good analysis all the same. You can keep giving spin but nothing in Civil-Military relations has changed for 69 years, and will not change for another 69. The Military is very alert and will never allow a mass leader to get even a sniff of Power, they fully understand their welfare does not permit it. What the nation needs is of no consequence to them. The saviour mentality syndrome almost ensures that there will be no focus on strengthening of institutions unlike India which has ensured that for all the machinations of the politicians, some limits never get crossed. From FPSC to State Bank and from police to local bodies, the polity of Pakistan is littered with avenues where good governance can transform this country. Unfortunately, the benefits of 600k continue to trump the interests of 200 million. A very sharp analysis in simple language. Journalism of highest quality. Thank you for explaining the new template. Musharraf's Pakistan is gone and so is Musharraf. I don't expect to return to this mess again. Even I don't recognize Pakistan myself. It's all adrift. No direction, leadership or purpose. Boys don't always stick to their guns either though, sooner or later they would want softer stuff too. Only honest,sincere and corrupt free leaders can take out Pakistan from the mess and Mr Musharraf with experience to lead Pakistan to progress was the only one.Now we have to wait for him to come back and take the charge as the nation is fed up of the current setup of the corrupts. Excellent article. The masses need to somehow adapt to the new Pakistan. Let the politicians run the country and let the army protect the country. No interference is the best possible outcome. Great Analysis. I never miss his editorials. Mao: "Power flows through the barrel of a gun." Lets not forget the 2nd Amendment to the US Constitution because without it the 1st Amendment is useless. Good article except that the message seems to be that we should remain content with having inept civilian leaderships, and on top of it, we should still demand for them to remain (or at least be seen) in control. That is not what makes for strong countries. Putting the entire burden on one disciplined institute to do all the things while all the others keep on doing the damage they have always been doing can not be sustained in the long run. If we want Army to be running the things, then they better be running everything. Why should a namesake government should be doing ANY plundering at all? And if not, then we better enact policies that can take our governments to task for not following through on agendas of importance and be able to dismiss them. Army is only taking care of security. Nation building requires utmost and urgent attention to education policy, justice, etc etc. This is precisely why Imran Khan will never be PM. Fiercly independent leaders need not apply. Army or civil govt Pakistan suffers all the time. Both so far has done nothing for the betterment of the country. Well written, well directed, well received and very well done Cyril! Is Military superiority over Civilian leaders good for Pakistan? I don't think so. Well maybe its not Musharraf's Pakistan anymore. Quite evident in the US dollar is RS.106.00 and not Rs 60.00 when he was around. Peoples memories may be short but their pockets are even shorter now! 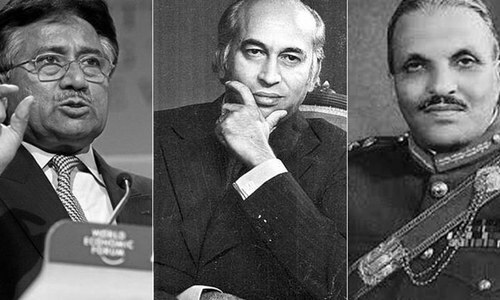 Musharraf's Pakistan has many unseen faces to see in not too far a future! Brilliant. Right on the money. People working in armed forces are citizen of Pakistan as any civilian, and since they have arms in hand, entrusted to them by people of Pakistan to defend people and country, armed forces should act (as duty) and act brutally when they see country getting looted, plundered, robbed and mismanaged. Pakistan army should never take orders or give respect to corrupts, plunderers and thugs, as duty to the country. The thing that intrigue me is that, how can military take orders (even superficially) and tolerate corrupts, crooks and thugs managing the country? Army and bureaucracy is not servant of government, but are servant of state, and duty of state is to look after the welfare of people, and guard security and safety of the state. If a corrupt and thug person gets into office (be that political or bureaucratic office), than it is duty of state (including army) to punish that person, even if office of that person is highest office in the country (President, PM, Governors or CM). Now Musharraf can enjoy his American money in Dubai. Good analysis but a very hard read. Please address the repetition of thought, and fragmentation in your paragraphs. Pakistan a wonderful land full of loving people, ruled by thugs since its ill thought out inception doesn't have much of a hope left to do much for its citizens. The corrupt and selfish regimes are too busy looting the country and don,t give a hoot about ant thing else. God bless you all. Good analysis. However, I must add that along with the "new" set of leaders and templates set by them, there is an equally new generation that is now beginning to flow into the system, and this generation is learning fast. Hope it would be good for Pakistan in the long run Inshallah. Pakistan Zindabad. Musharraf's Pakistan is not gone; he will live in the hearts and minds of Patriotic Pakistanis. Democracy is not a license to loot and plunder the country and then get away because they uphold the constitution. The Emergency which Musharraf imposed for Second time for his continuing of ruler-ship was on merit. First emergency was given indemnity by then parliament. Nawaz as i have always said had been compromised because he was eager to get power at every cost. Non the less Musharraf trail was THE KEY to Pakistan's history and might deter the menace of lawlessness in the country and respect for rule of law. Unfortunately Musharraf left Pakistan on FAKE medial ground is insult for him and to the regime. The Civil military situation in Pakistan is cyclical. This may repeat itself anytime. One incidence and we have it all over again. Correct, Musharaf's Pakistan is ended. Now Pakistan is under the clutch of IMF, Now Pakistan is fighting for $ reserves, Now Pakistan has no good relation with any big power, Now Pakistan is bowing towards India, Now Pakistan eager for small business with India and not other countries, Now our trade (export) is slowing down, Water crises is looming, education has no value, private schools are out of control, Hospitals condition are worsening and so on.